A little over a month from now, “the biggest band in the world,” One Direction, will be releasing a brand-new concert documentary to theaters; for a two-day-only engagement. The film will be hitting theaters — doing the IMAX and 3D things, for those inclined to see the dashing young men in as enhanced a way as possible — on October 11 and 12. It will be hitting Blu-Ray and DVD on December 1st; just in time to stuff many a Directioner’s stocking. The trailer promises a flick full of beautifully shot concert footage of the boys on their most recent Where We Are stadium tour, intercut with shots of them looking cute in dressing rooms, and adorable on tour buses. 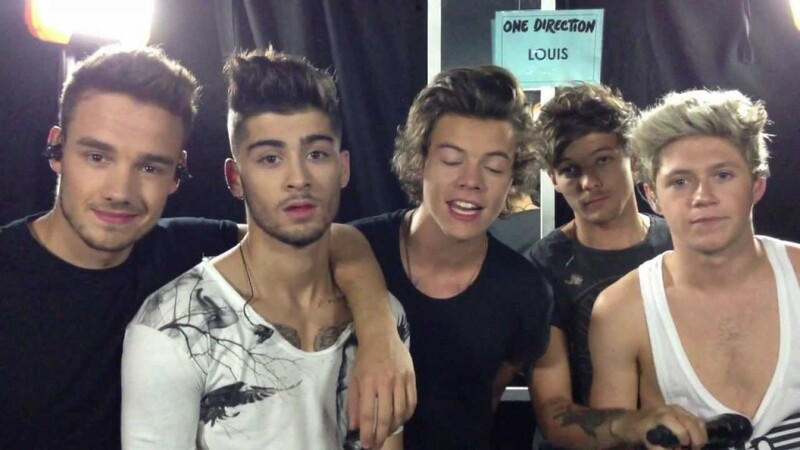 Live versions of “Best Song Ever,” “Story Of My Life” and their breakthrough single “That’s What Makes You Beautiful” all make appearances in the 90 second trailer. “I think we’re very lucky with our fans, that they take the pressure off us a little bit. You kind of feel like they’ve got your back,” says Louis Tomlinson in the trailer. “Yeah, that’s amazing,” Harry Styles concurs. Given the fact that they dominate social media’s trends — particularly Twitter’s — day in and day out, frequently in the form of shows of support for one reported and/or perceived difficulty or another (break-ups, scandals, personal crises, etc. ), it does seem they’re telling the truth.